I've started to notice that the fishing sub-forum goes through dead periods, and maybe this can help. 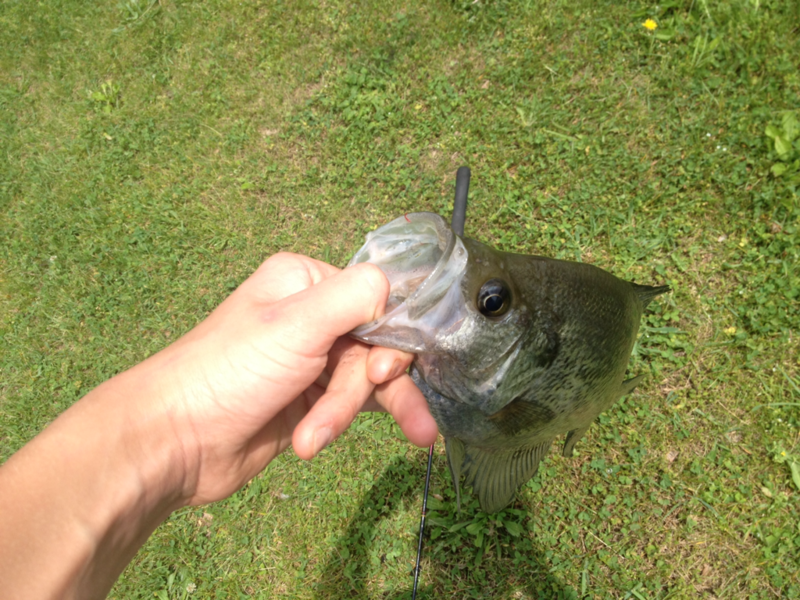 Where I live in Southern Pennsylvania, the best fishing for sunfish and bass is without a doubt, on private property. Public waters get hit hard, and levels of trash, trampled riparian cover, and general disregard for regulations make fishing pretty bad on public reservoirs, lakes, and trout streams. The solution to this problem for my friends and I is to try to fish some of the dozens of small, usually less than 1 acre ponds that dot the rural agricultural landscape around our home town. We always ask the landowners before wetting our lines, and have had great success getting access to some really stellar private ponds. Here are some pictures from this spring- no record breakers, just some solid, rewarding, after school fish caught on ultralight gear- in no particular order. Feel free to share any stories or photos you have from your private land panfishing escapades. 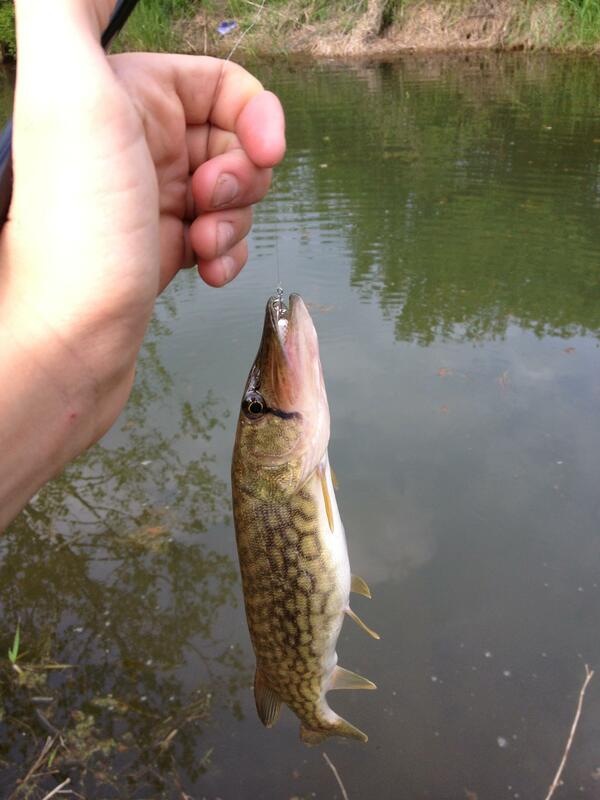 i like the pickerel. we are supposed to have them here in wisconsin but i never got one. i think they may have disappeared from a lot of waters over time. 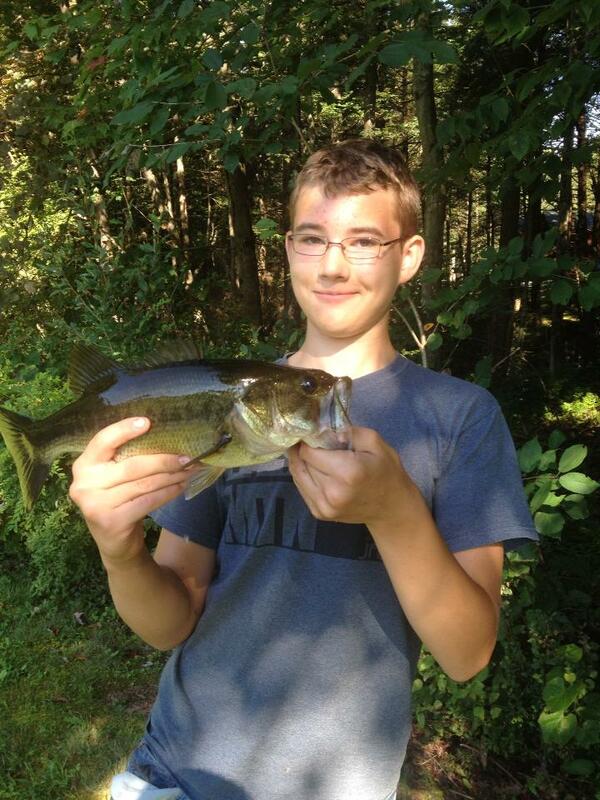 Greetings Jake, I am happy to hear you and your pals are honoring the time honored tradition of fishing farm ponds. 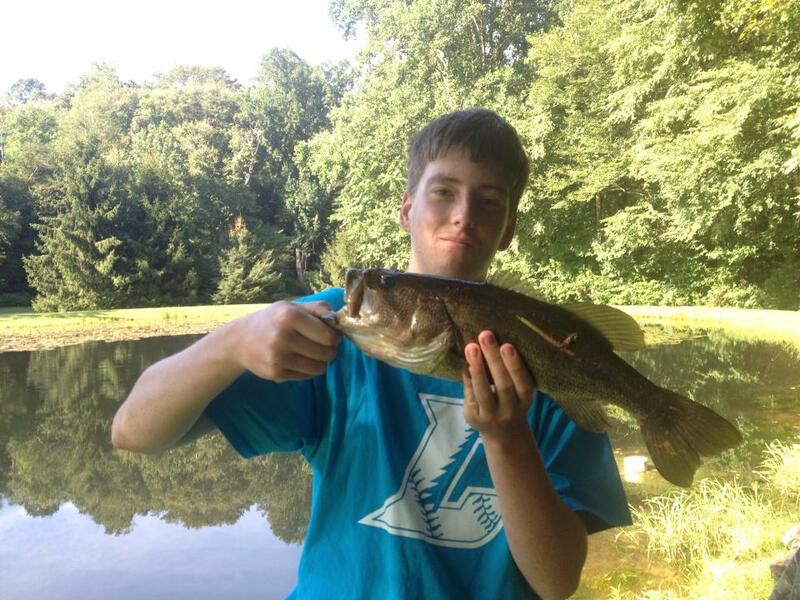 My very first fish ever ( the beginning of serious addiction ...) were in golf course ponds. These offered the thrill of angling for extremely abundant bluegill and black bullhead cats , and the potential to be hurt by errant golf ball or confronted by the alleged fire breathing greens keeper only added to our stimulation . Eventually I did "get caught", but the golf pro was one of the kindest people I ever met, giving me a ride in a golf cart, free hot dog and ice cream, and regular exclusive access to the pond with the agreement I avoid certain danger zones. Kudos to you for getting prior permission and never trashing the area, you may build bridges that way with the land owner and have other fun opportunities. 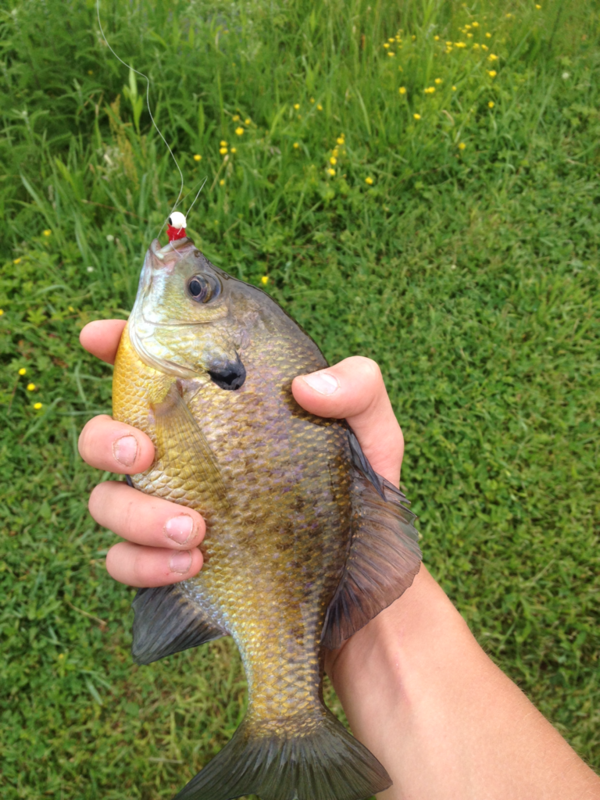 That first hand sized bluegill is a nice one, often farm ponds have hordes of stunted ones . 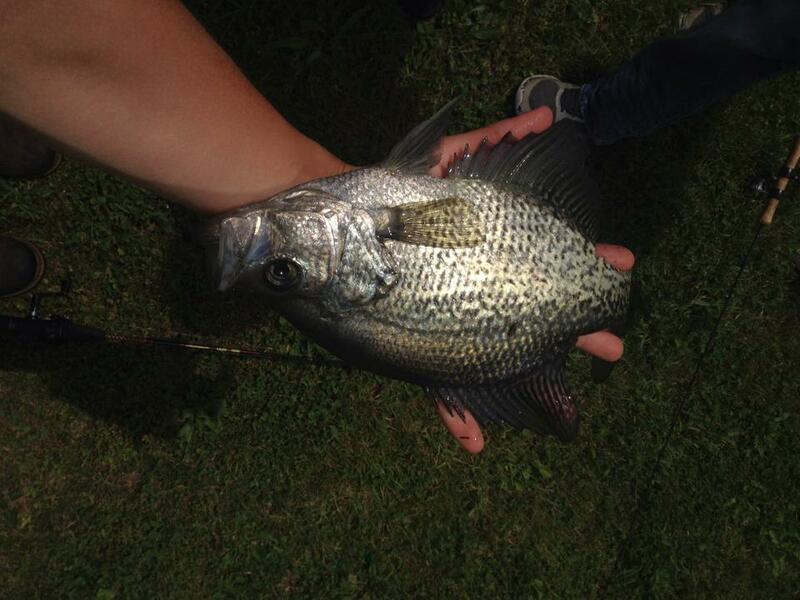 People often release bluegill and keep bass, probably they should do opposite to enhance long term fishery. Most ponds benefit by harvesting the fast breeding sunfishes e.g . 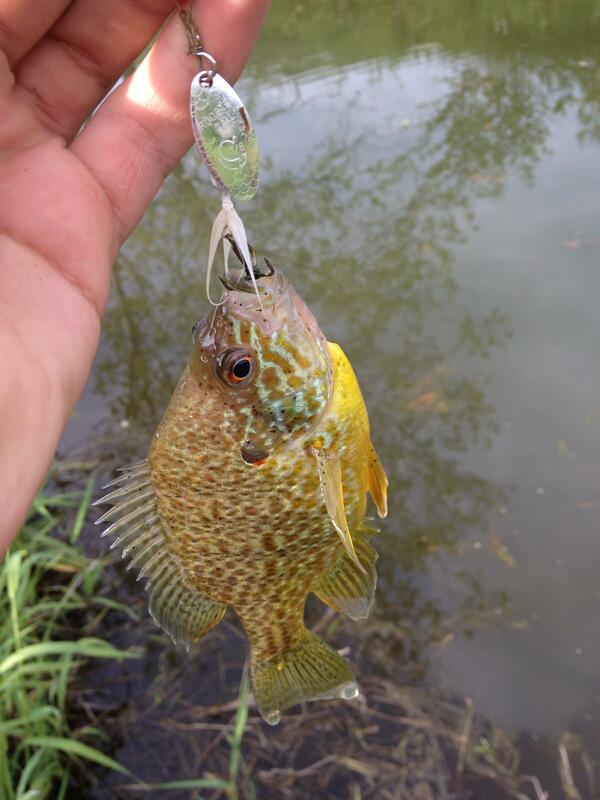 Bluegill, pumpkinseeds, greens , etc . Farm ponds are great for many of the reasons you mentioned. Be careful of eating these fish since they are in an area of historic insecticide and herbicides, and not routinely tested like public waters are. If you live in the southeast, Vic’s advice for golf courses is great. Often their water hazards are heavy with bass, and, if you go out immediately after the sprinklers shut off in the evening (sprinklers get rid of nuisance golfers, an invasive species! ), you may have it all to yourself. Again, catch and release; I wouldn't eat anything I caught there. 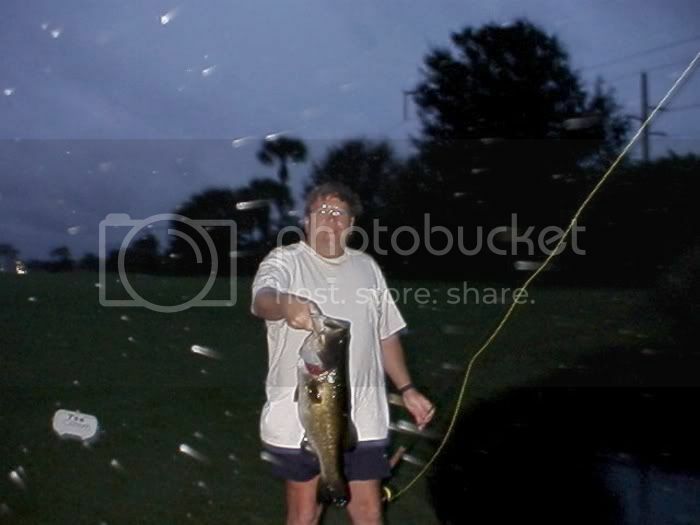 This 8 pounder was caught at a Boca Raton, FL, golf course.